This book is a conversation between word, form and colour. It aims to describe the experience of the present moment, what arises and wants to be expressed when awareness and stillness meets creativity. Christine Hartmann's poetry and Naomi Ojima's visual art are of contemporary nature and beautifully complementary in their simplicity and subtleness. Both artists believe that the source of all movements is Love. 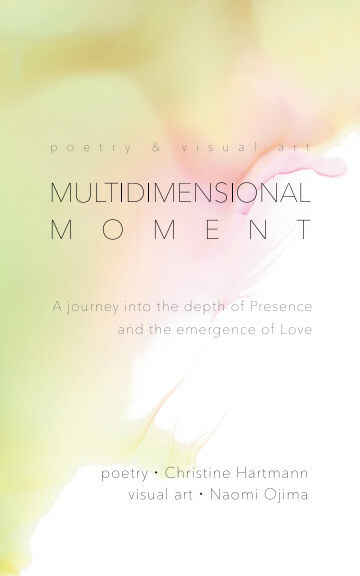 It is what gave the inspiration to collaborate and to create a collection of present moment-expressions, inviting the reader to pause and to enter the multidimensionality of Now, to feel Love at its core.